Shane is the Production Manager for SERVPRO of Vacaville. He has over 15 years of experience and is an expert in water, fire and mold restoration. Shane is IICRC water certified. He lives is Vacaville and is available for 24 hours a day emergency water extraction and service. His leadership and efficiency on jobs along with his compassion for customers during a fire or water loss have made him an essential member of our SERVPRO team. 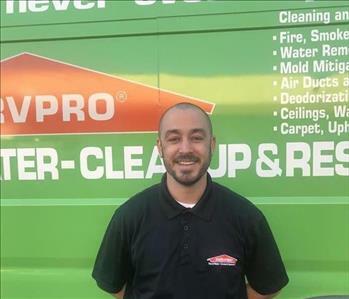 Dustin is a Restoration Technician for SERVPRO of Vacaville. He is committed to customer satisfaction and is IICRC Fire certified. Dustin is a great asset to our SERVPRO team and has been instrumental in helping our Camp Fire customers. Tristan is a Restoration Technician for SERVPRO of Vacaville. 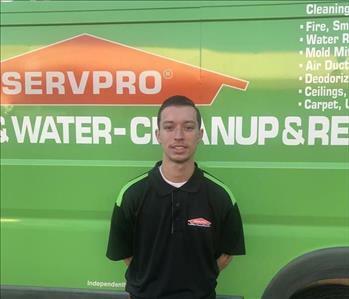 Tristin has 2 years of experience in Water, Mold and Bio Hazard Remediation and is ECTP certified through SERVPRO. He has been working closely with our Camp Fire customers to provide them with excellent customer service. Michael is the Office Manager for SERVPRO of Vacaville. Michael is committed to excellent customer service and assisting customers through the insurance/billing process. He is IICRC water certified and has worked in the restoration industry for 2 years. 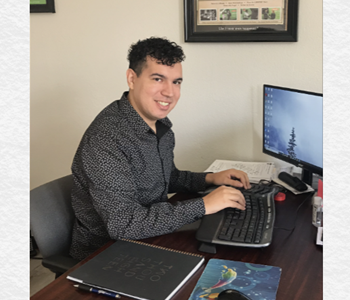 Michael has his BA degree in Vocal Performance from Fresno Pacific University and continues his passion for singing in his spare time. Michael is the perfect person to assist customers with Emergency Services Claims.